Welcome to the Weird and Wonderful World of Words! A wealth of witty anagrams, palindromes, and puns Clever paraprosdokians: sentences with surprising endings (Ive had a perfectly wonderful evening, but this wasnt it.--Groucho Marx) Fascinating oronyms: a pair of phrases that differ in meaning and spelling, yet share a similar pronunciation (The stuffy nose can lead to problems versus The stuff he knows can lead to problems.) Peculiar oxymora: words or phrases that are self-contradictory (Jumbo shrimp! Guest host! Gold silverware!) 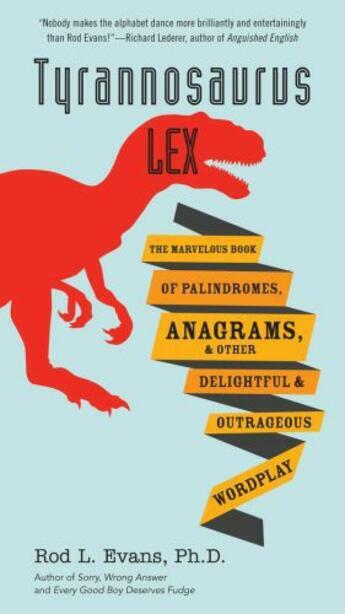 So sit back and get ready to learn about everything from antigrams and aptanagrams to kangaroo words and phantonyms. Youll never look at language the same again!